Does your car have an unsightly rust spot or scratch? 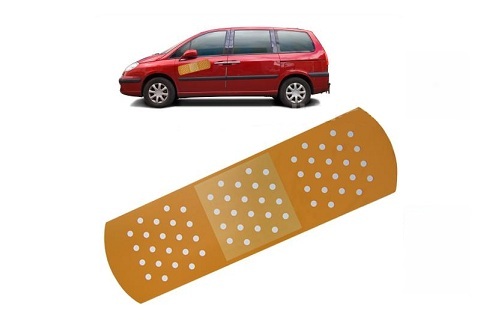 Patch it up with a magnetic auto bandage! It's easy to apply and can be removed without damaging a car. It's also great to have on hand in case you ding someone's car and you're having a hard time breaking the news. Just slap it on and lighten the mood! Auto-Aid is also MUCH cheaper than bringing your car to Maaco, so you can save more money for a new car! Price: $8.50 & FREE Super Saver Shipping on orders over $25.